Butch O’Neal is a fighter by nature. A hard-living ex–homicide cop, he’s the only human ever to be allowed in the inner circle of the Black Dagger Brotherhood. And he wants to go even deeper into the vampire world. He’s got nothing to lose. His heart belongs to a female vampire, an aristocratic beauty who’s way out of his league. If he can’t have Marissa, then at least he can fight side by side with the Brothers. Fate curses him with the very thing he wants. When Butch sacrifices himself to save a civilian vampire from the slayers, he falls prey to the darkest force in the war. Left for dead, he’s found by a miracle, and the Brotherhood calls on Marissa to bring him back. But even her love may not be enough to save him. 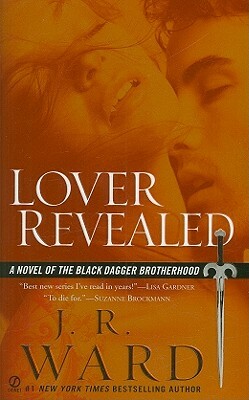 J. R. Ward is the author of more than thirty novels, including those in her #1 New York Times bestselling Black Dagger Brotherhood series. She lives in the South with her family.